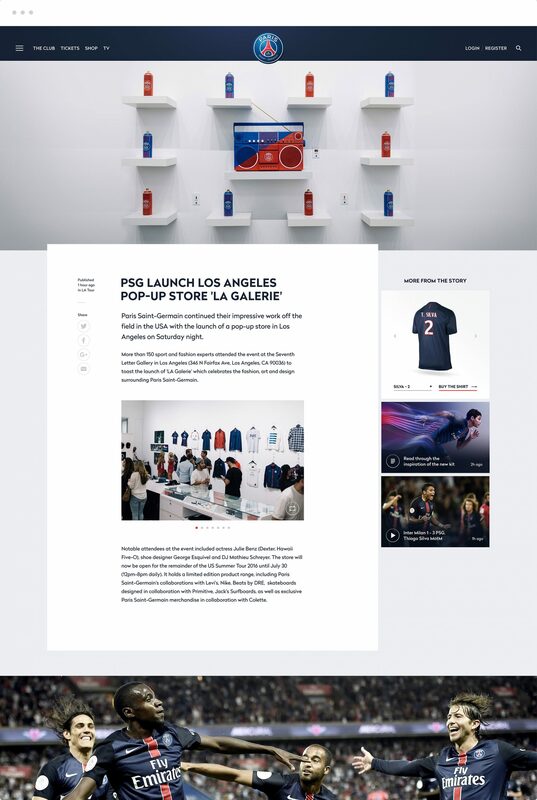 We were asked by SID LEE Paris to help create a new site concept for the PSG Football Club. 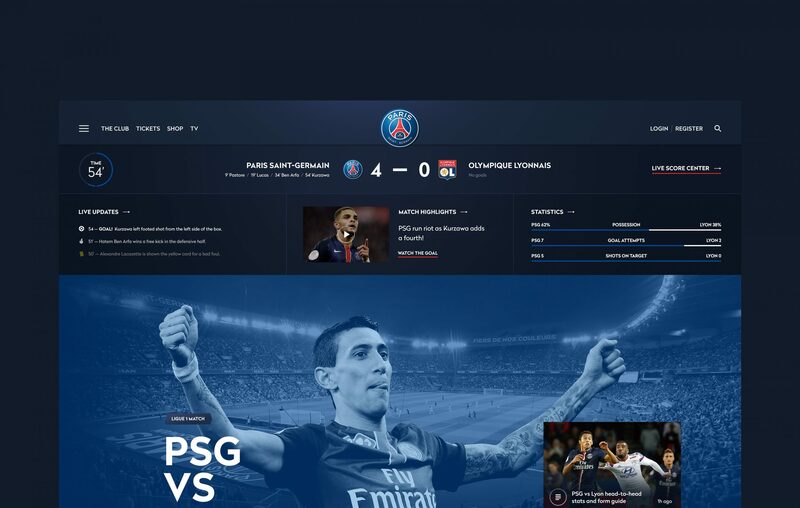 This concept showcased the exciting project that is happening in Paris, building a concept that reflected their reputation on the pitch as one of the best clubs in world football. Our concepts showcased new technology and application that would help push the platform further than any other club in the world. 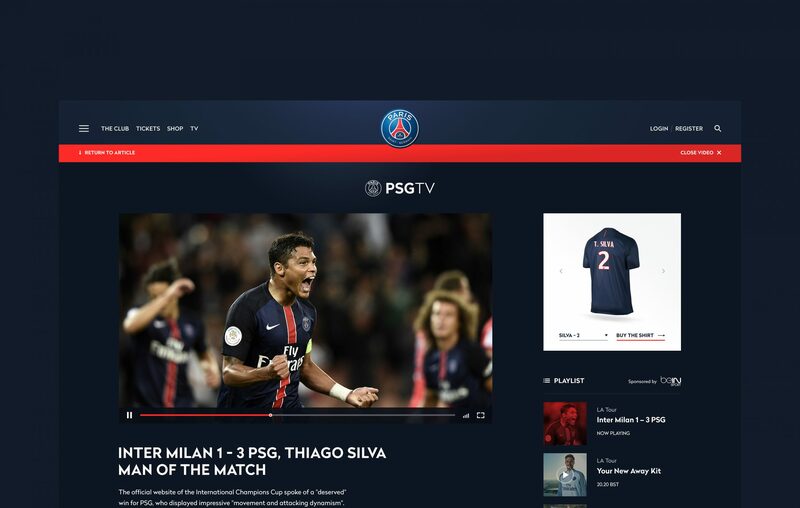 Each design featured up-to-the-minute content on the club, players, and initiatives.